Thank you Terri for lending this to me. You are a true friend (Book #1 for me for 2013). An utterly delicious tale of sisterhood and forgiveness in a small town so endearing, you won't want to leave. One afternoon, Julia Evarts and her five-year-old daughter, Gracie, arrive home to find an unexpected gift on the front porch: a homemade loaf of Amish Friendship Bread and a simple note: I hope you enjoy it. Also included are a bag of starter, instructions on how to make the bread herself, and a request to share it with others. Still reeling from a personal tragedy that left her estranged from the sister who was once her best friend, Julia remains at a loss as to how to move on with her life. She'd just as soon toss the anonymous gift, but to make Gracie happy, she agrees to bake the bread. When Julia meets two newcomers to the small town of Avalon, she sparks a connection by offering them her extra bread starter. Widow Madeline Davis is struggling to keep her tea salon afloat while Hannah Wang de Brisay, a famed concert cellist, is at a crossroads, her career and marriage having come to an abrupt end. In the warm kitchen of Madeline's tea salon, the three women forge a friendship that will change their lives forever. In no time, everyone in Avalon is baking Amish Friendship Bread. But even as the town unites for a benevolent cause and Julia becomes ever closer to her new friends, she realises the profound necessity of confronting the painful past she shares with her sister. 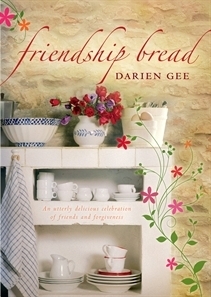 FRIENDSHIP BREAD is a celebration of life, loss, friendship and the power of belonging.